I’m pretty shy. Not always just to begin with. I often find it hard to start conversations with people just out of pure nervousness. So I decided to organize and host my own design meetup in Leeds, inviting 100 designers into 1 room. Where for around 15 minutes they would sit and judge me while I try and present. I was scared, felt sick, wanted to do a poo and I loved every minute of it. Why would I put myself into this position you may ask? Well, I found myself surrounded by digital designers day in, day out. I wanted to find a group of creative that I had no idea about illustrators, painters, typographers, but how do you find them? I decided to bring them to me and made a creative meetup. 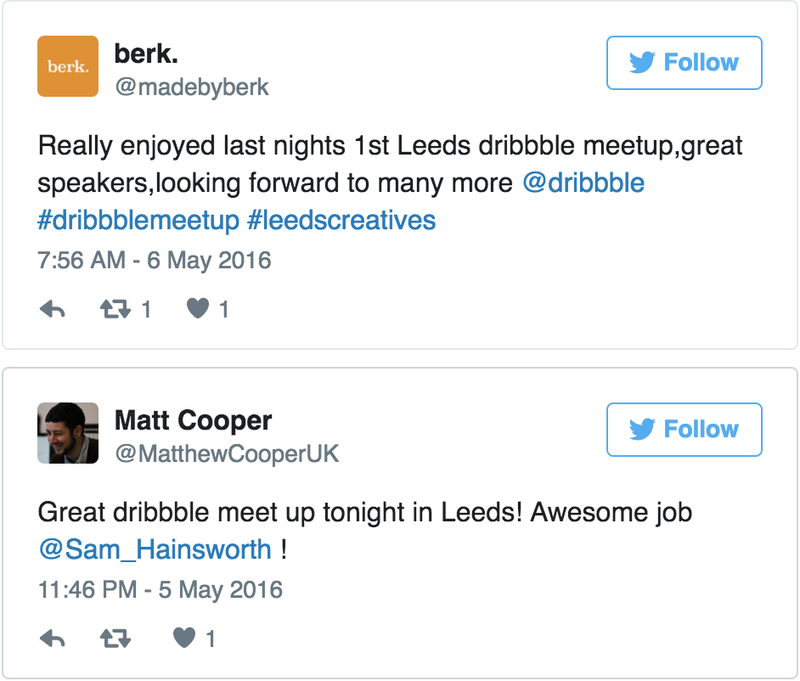 After 3 months of thinking I came across the Dribbble Meetups page and started to wish there was something like that in Leeds! 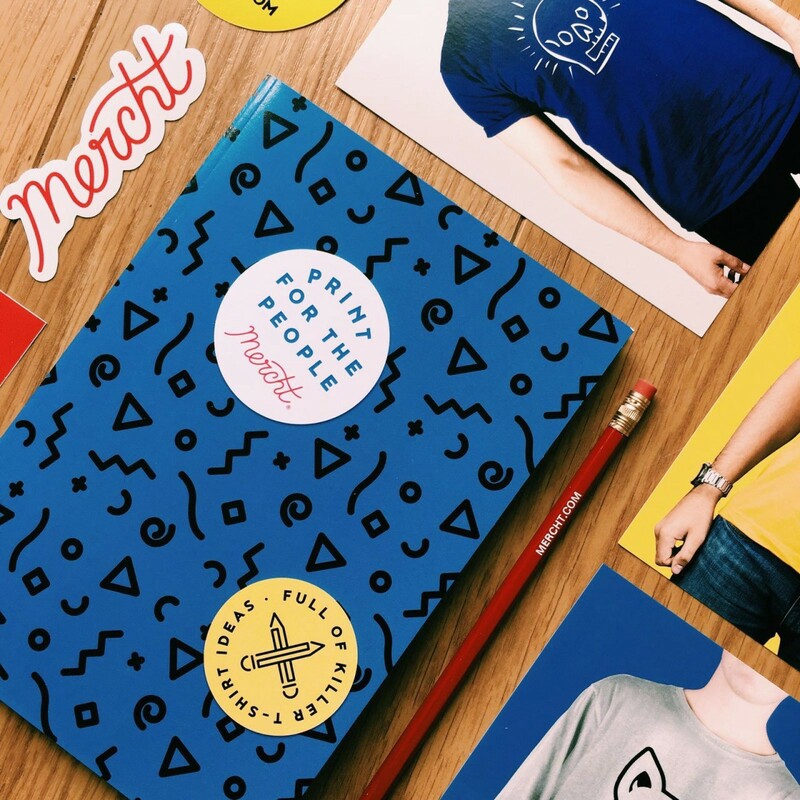 I quickly messaged Dribbble asking to host the 1st Leeds meetup and within a week I had a yes back from them and a box full of stickers, note pads and pencils. And that’s how the 1st Dribbble Meetup in Leeds began, this was my event. Like most things I began to see how big a task this might become. I got way too over excited about this without thinking it over. There was so much I’d have to do. Hire a venue, this might be pricey. Get some speakers, what if no one wanted to do it? Invite a load of designers, what if no one comes. Then the biggest one hit me. I’m going to have to host and speak to a bunch of people I don’t know! I’ve found myself recently in situations that make me feel uncomfortable and oddly I always enjoy myself. Saying yes to something that you really have no idea about feels brilliant, you almost have no limitations because you have no ideas what they could be. So I found a venue, The Adelphi Hotel. They let me have it for free! I found 4 local speakers. First up, Rosie Manning, who like myself was a nervous first time speakers, but she was amazing and did a brilliant and inspiring talk. Huge thanks! Next up, Luke Hodson promoting his new site Mercht (you should go check this awesome site out). Mercht also provided some free T-shirts and stickers every all. You rockstars, thanks! Finally to the stage, Chris Brown & Marcus Silva from First10, showcasing some really impressive work they’d recently been doing and bringing some laughs to everyone in the form of a dead bird (not much happens up north). Thanks so much you two! Over 80 designers came down, 30+ of them emailed me afterwards to say well done and thanks. 4 of them I drafted on Dribbble. 2 of them are going to be speakers at my next meetup. I’ve honestly never felt so proud. Seeing all these people come together for one night for a few drinks and a chat and meeting some truly interesting people was amazing. I did a brief talk on my list and how it started the meetup, I was so scared, but once I started to talk the nervous just went. I loved every minute of it and can’t wait to host and organize the next Leeds meetup! Digital designer writing down stuff for all to see.